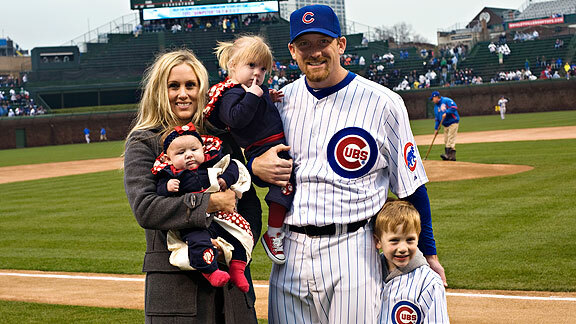 Meet Jenny Dempster, wife of MLB player Ryan Dempster. Jenny met her husband Ryan when she was working in her hometown for the Atlanta Thrashers in marketing. The couple eventually got married in 2003. They have three beautiful children together: Bradly, Riley and Finley. In June 2009, the Dempsters issued a statement regarding Riley’s condition. Their daughter has a rare genetic condition called DiGeorge Syndrome. In order to raise awareness of this disease, the couple founded the Dempster Family Foundation in the same year. After nine years of marriage, the couple decided to part ways in 2012. Ryan moved to Boston to start his career while Jenny and the kids remained in Chicago.